What next for parking displacement plan as part of HQ build in Leamington? Plans to cover for some of the loss of car parking spaces in Leamington during Warwick District Council’s HQ move project will still be discussed this week despite a major site having been removed from the proposals. 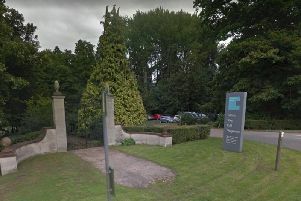 In a response to a public outcry the council has withdrawn its plan to build a car park with 80 spaces on the public tennis courts at Christchurch Gardens in Leamington town centre. The tennis courts were one of four sites earmarked to be built on or expanded as part of the council’s parking displacement strategy which aims to offset the impact the temporary loss of 468 spaces during the work at the Covent Garden multi-storey car park will have on the town centre. Now the council needs to put forward another site and some have already suggested that a better solution would be to build a temporary multi-storey structure on the site of Chandos Street car park near Christchurch Gardens. BID Leamington remains concerned that insufficient provision is being made for the loss of parking during the planned development of Covent Garden, and that the new car park will not be able to meet increased demand from the new headquarters and apartments, or support the future development of other town centre car parks. It has carried out a detailed analysis of town centre car parking provision, which was included in the representation they made on the planning application, and showed that the Covent Garden site (currently 468 spaces) accounts for 31 per cent of off-street spaces in the town and 36 per cent prior to the closure of the top town levels (124 spaces). Its research also indicates that Leamington town centre is currently short of at least 1,000 off-street parking spaces compared to similar town centres and demand is expected to increase by 17 per cent in the coming years. BID Leamington says its solution to help mitigate disruption would be to turn Chandos Street from a surface to a multi-storey car park with the creation of three additional levels prior to the planned closure of Covent Garden. They consulted businesses on this idea in 2017 and it was outlined in their representation on the planning application. Other sites earmarked for car parking spaces include the current car park in Princes Drive next to Victoria Park which would have an extra 50 spaces. Also on the list is the car park at the end of Archery Road which would have an additional 37 space. All of these aforementioned sites would remain as car parks after the HQ build is completed. But none are within 400 metres of the town centre’s main shopping area which is considered a ‘golden standard’ for parking for shoppers. Land off Court Street near the Althorpe Enterprise Hub would be used to provide 80 temporary spaces while the work takes place. Part of the plans also include allowing the public to use the car park at the council’s current Riverside House HQ. The council has been approached for a comment as to what its next step will be in regard to finding another site for the parking displacement strategy. The authority’s executive will meet at Leamington town hall on Wednesday evening where the strategy, as it stands, will be discussed.